For this header, you will need to set up the jumpers below. J2 Open Disable weak ICE/MCLR pull-up resistor. Short Enable weak ICE/MCLR pull-up resistor. J3 Open Disable power LED indicator. This option saves power. Short Enable power LED indicator. J4 Open Use only target capacitance for VCAP (on RA0 pin). Short Use both on-board and target capacitance for VCAP (on RA0 pin). J5 Open Use only target capacitance for VCAP (on RA5 pin). Short Use both on-board and target capacitance for VCAP (on RA5 pin). J6 Open Use only target capacitance for VCAP (on RA6 pin). 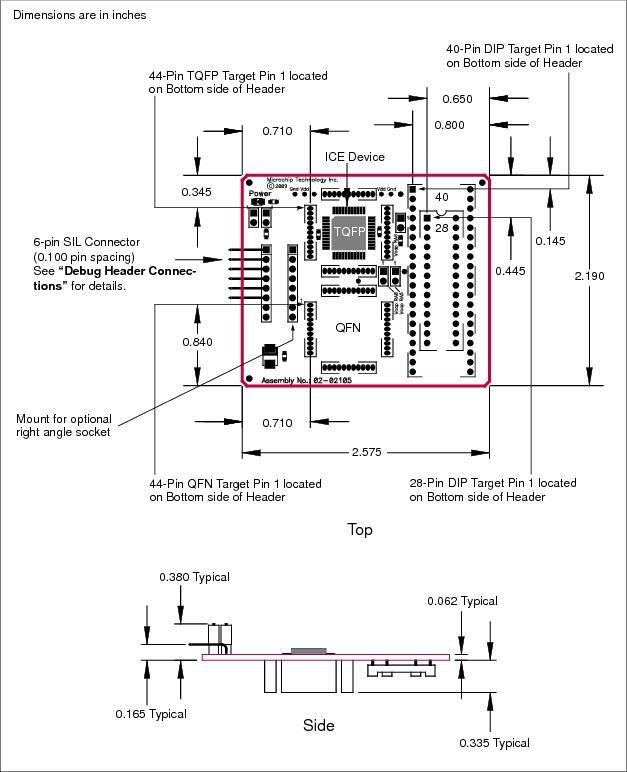 Short Use both on-board and target capacitance for VCAP (on RA6 pin).